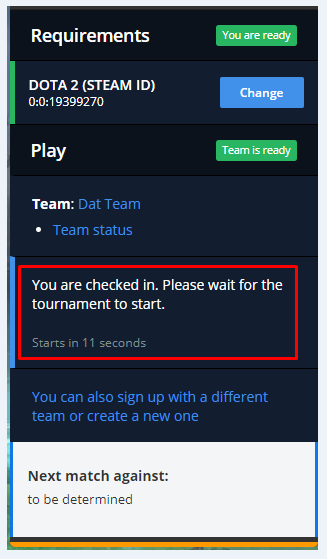 (Register or) Login in your ESL Account using the tournament widget. 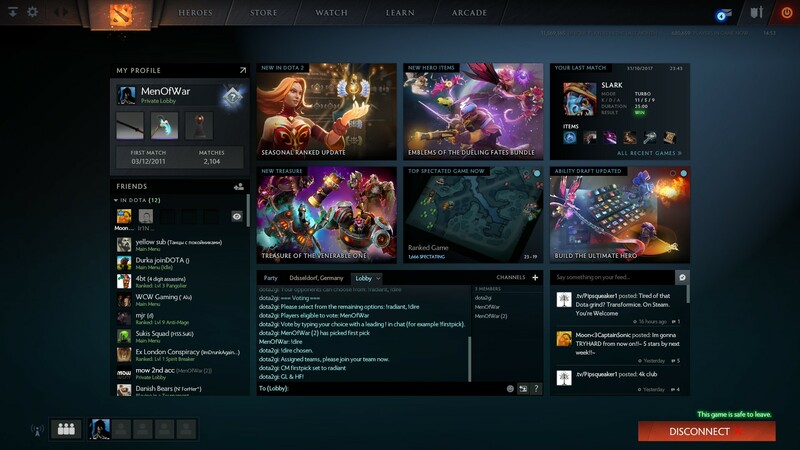 Register your Dota 2 Steam ID by clicking register on the tournament widget. You can find your steam ID here. Copy and past it in the requested box, and hit confirm. Select the team you want to sign-up with. Click Team status to check if you are ready to sign-up. 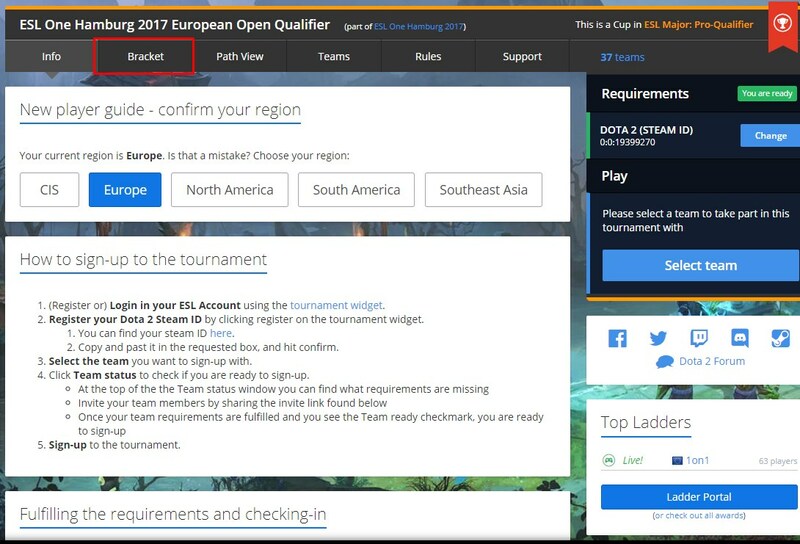 In order to check-in, you need to make sure that your team fulfills all the requirements such as Steam ID, Country, etc. Once you see who your opponent is, click in his name to access the match page. Note that it is possible that your team gets a default win in the first round, and has no match for the first hour. You can see the bracket of the tournament here. 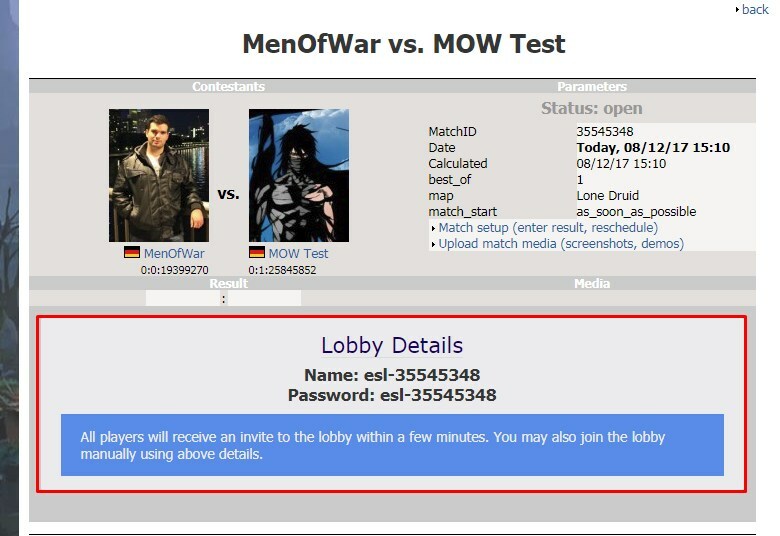 You will also be able to see a defwin in your tournament results here. 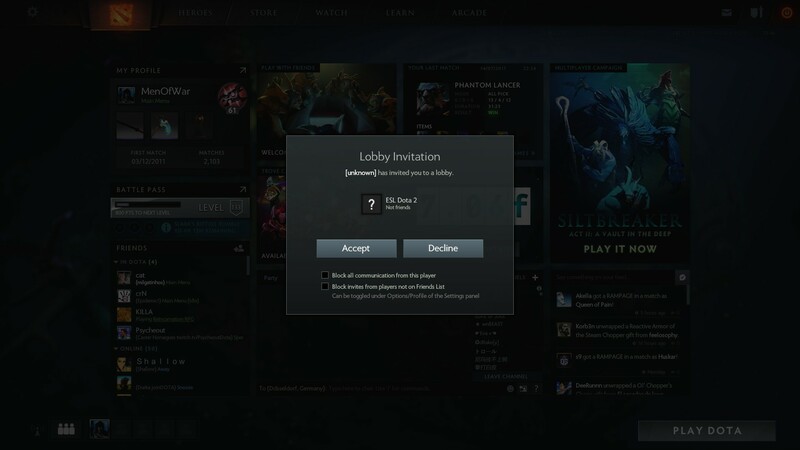 Once a player from each team joins the lobby, the vote will start. Once the vote is finished, players will be able to join their slots based on the vote results. 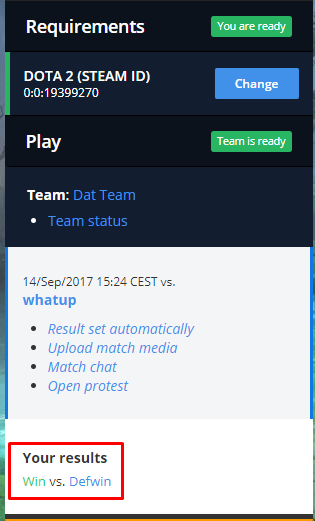 Once all team slots are picked, the match will start. 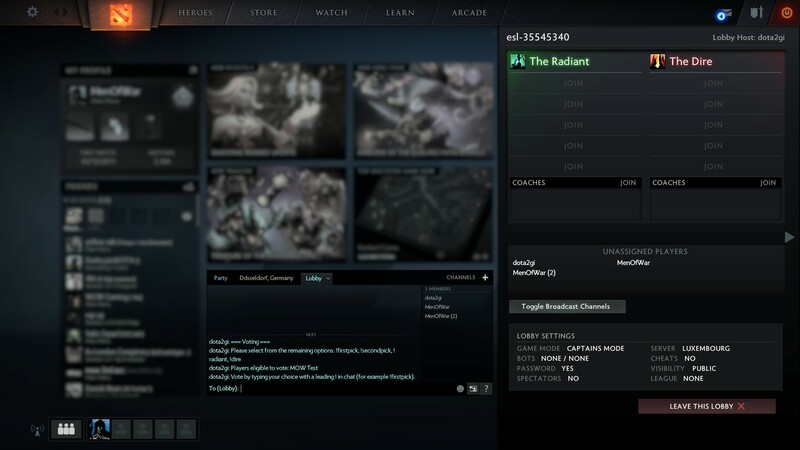 Once the game is over, the match result will be automatically submitted on ESL Play. 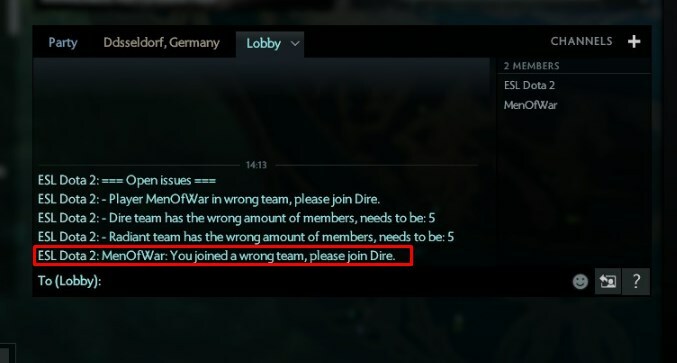 Make sure that all your team members have their steam ID updated (seen in the league widget), otherwise they will be unable to join the lobby. 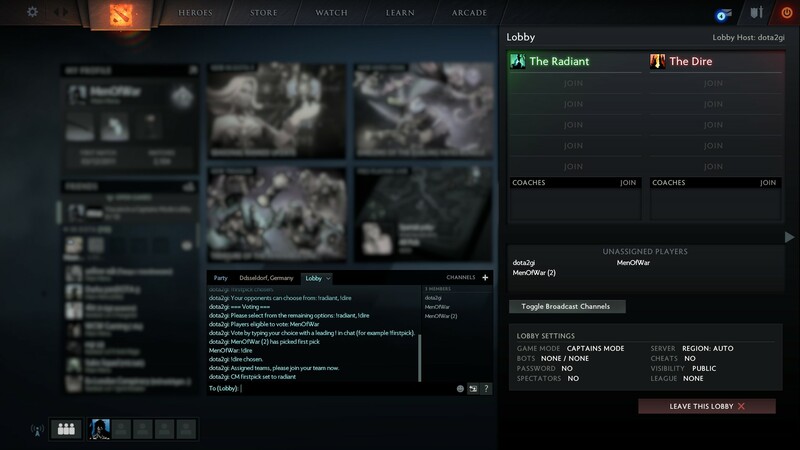 It is also possible to have an overview of your players steam ID's by accessing the members tab of your team page. 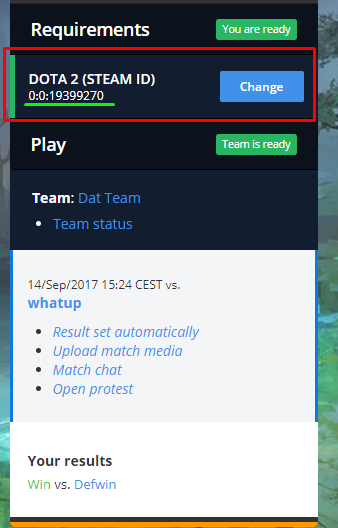 You are unable to manually submit the result of the match. 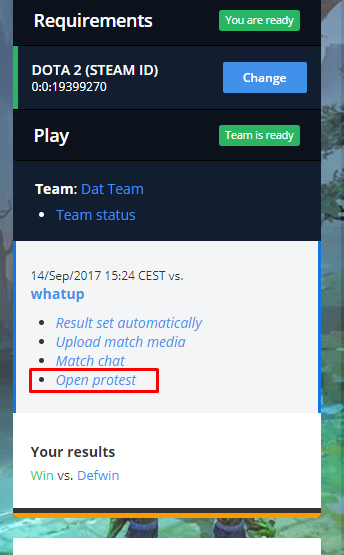 If a team does not show up, please open a protest ticket to get support from the admin team.